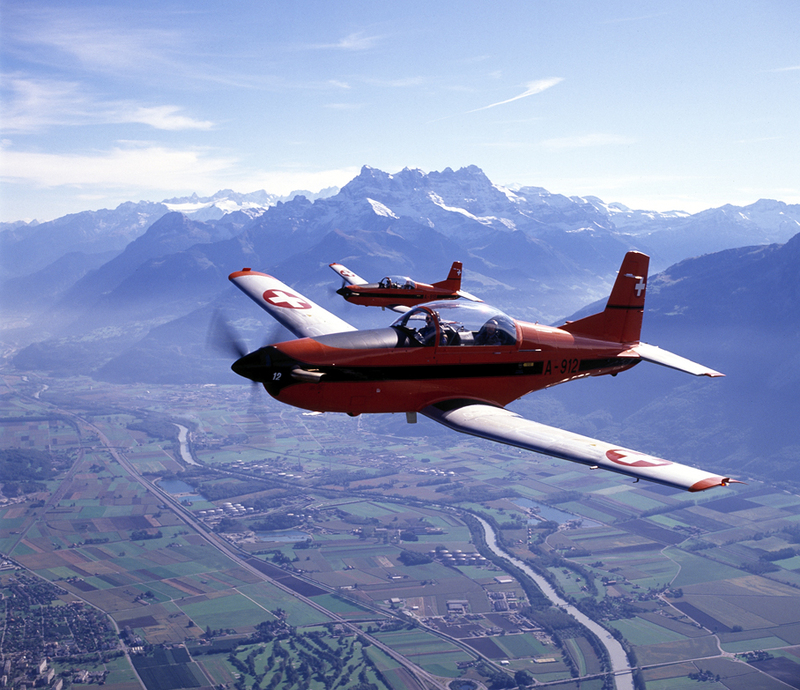 The Pilatus PC-7 was built at Stans in Switzerland and was the standard training aircraft for the Swiss Air Force. The PC-7 was an almost ideal camera plane because of its large, roomy cockpit and I used it on numerous photoshoots with the Swiss Air Force. These two aircraft are seen here near Montreux on a glorious October day in 1989.